Una Turandiade Buzziana (in forma di note). Essays by Anders Krueger, Alessandro Rabottini and Hendrik Folkters. Cologne 2012. 4to. 96 S. mit teils farb., teils ganz- bzw. doppelseit. Abb., brosch. – Text in engl. & ital. Sprache. 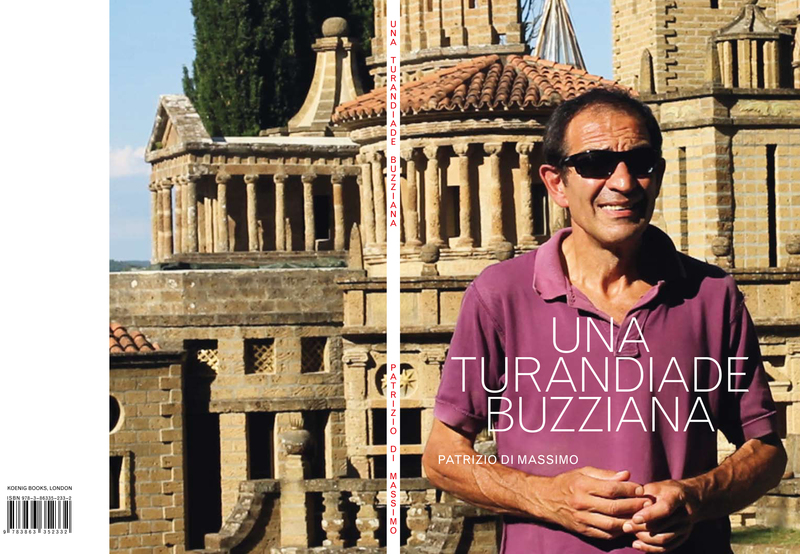 “Una Turandiade Buzziana”, Patrizio Di Massimo’s first artist book, is conceived as an apparatus for his recent video work “Una Turandiade Buzziana (in forma di note)”, 2011-12. Translatable in English as “Buzzi’s Turandot (In the shape of notes)”, the video puts in dialogue two unfinished Italian masterpieces: a surreal, neo-mannerist construction entitled Scarzuola, designed by Tommaso Buzzi (1900-1981) in Montegiove, Umbria, and Turandot, the orientalist opera by Giacomo Puccini (1858-1924). The former, which was finished by Buzzi’s nephew Marco Solari, and the latter, the opera’s final act, completed by the musician Franco Alfano, are placed in relation to each other through performance notes, musical excerpts, stage designs and animations in a metaphorical encounter where history is intermingled with dreams, explanation with rhetoric and performance with real life. The book collects the iconographic apparatus that stands behind the production of the video work and functions as a proper libretto where the lyrics of the opera, and the oral guided tour given by Marco Solari are both transcribed and paralleled with the images. Essays written by Anders Kreuger, curator of MuHKA, Antwerp, and Alessandro Rabottini, curator at large of Gamec.